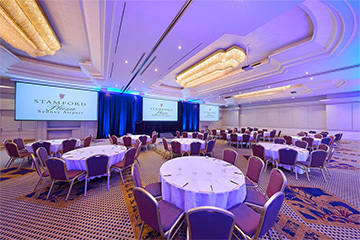 The Langham, Sydney unveiled its highly anticipated grand transformation in December 2014. Channelling true modern luxury, this 98-room hotel features the city’s largest guestrooms with signature balconies and terraces and the choice of sweeping Western Harbour or Sydney city skyline views. Featuring high level international design points, a hand curated art collection by Sotheby’s in the grand foyer, Sydney’s most renowned Day Spa and most beautiful swimming pool, Afternoon Tea with Wedgwood by day and mixology and jazz by night in Palm Court, a European chic dining concept inside Kent Street Kitchen and a renewed focus on local, luxury experiences; we invite our guests to experience Sydney’s most exclusive address. 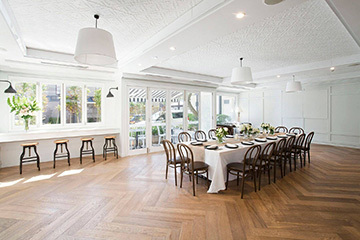 From industry conferences, to office social events, to confidential business meetings, a venue for every event. 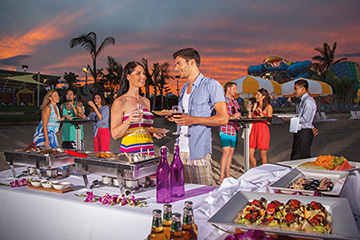 An experienced events team to attentively accommodate and support every request. 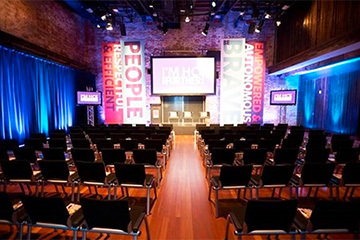 Extensive, cutting-edge audio-visual and projection equipment to elevate every business event. Features: Harbourside wedding location; close to extraordinary photography locations such as Observatory Hill, Circular Quay, The Rocks district, and more; experienced bridal planning services, including hair and make-up teams; exclusive bridal preparations programs at The Day Spa; extensive gastronomic menu options; multiple elegant floral arrangement options; adaptable and unique table and room set-ups. Access to our on-site business centre to facilitate all of your last minute needs from faxing to photocopying.